Abu Dhabi: Sharjah is aiming to increase gas production following the awarding of oil and gas exploration concession to Italian major Eni last week. Sharjah signed a long-term agreement awarding Eni three long-term concessions to explore and develop onshore oil and gasfields in a 30-year partnership with Sharjah National Oil Corporation (SNOC) early last week. The concession agreements cover the exploration, appraisal and development of oil and gas resources in three areas marked A, B and C.
Concession Area A and C cover respectively an area of 437 square kilometres and 1,184 square kilometres whereas concession Area B covers an area of 264 square kilometres. 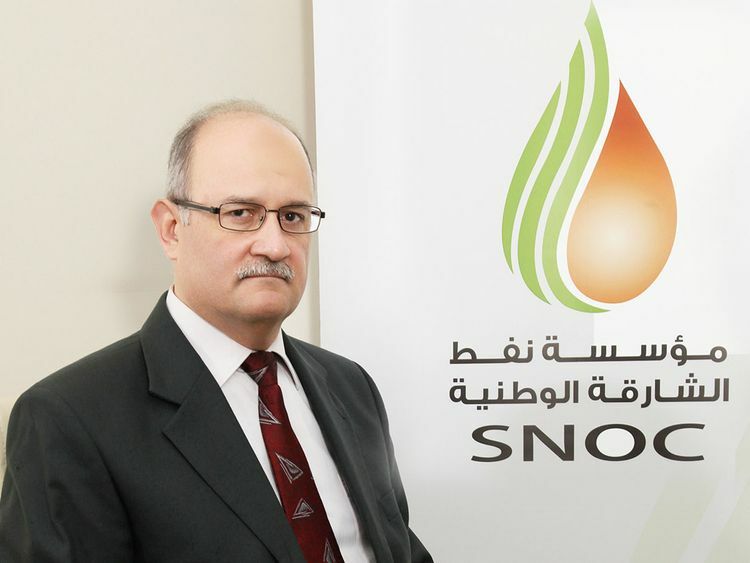 “We expect any new gas discovery from the exploration would be satisfying primarily the power sector and we are also targeting to expand to industrial sector,” said Hatem Al Mosa, chief executive officer of SNOC speaking to Gulf News in an interview. The comments come as demand for natural gas goes up in the UAE for the power sector due to growth in population as well as the development of the industrial sector. According to the US-based Energy Information Administration (EIA), the UAE generated over 87 per cent of its electricity in 2015 using natural gas-fired generation. Electricity consumption in the UAE reached nearly 112,000 gigawatthours (GWh) in 2014, placing the UAE among the highest electricity consumers per capita in the world. “The gas demand is directly related to the power demand in the UAE and the power demand has been increasing every year in the range of 3 to 10 per cent,” said Al Mosa. Sharjah is already producing gas through three reservoirs located between Sharjah and Dubai and the new gas exploration in partnership with Eni is expected to boost gas production further. On the future growth plans of the company, he said they are working on the LNG import facility to meet Sharjah’s long-term gas demand and are planning to establish a gas storage business utilising one of the reservoirs as a storage site. SNOC, established in 2010 by the decree of His Highness Dr Shaikh Sultan Bin Mohammad Al Qasimi, Member of the Supreme Council and Ruler of Sharjah, is tasked with exploration, production, engineering, construction, operation of oil and gas assets in the emirate. Abu Dhabi National Oil Company (Adnoc) is also investing heavily in the development of its gas reserves as part of its long-term strategy to transform UAE into a net gas exporter from a net importer. Currently UAE imports most of its gas through Dolphin gas project from neighbouring Qatar. Abu Dhabi: Hatem Al Mosa has more than 30 years’ experience in the oil and gas industry. He received BS Degree with Honours in chemical engineering from the University of Illinois at Urbana-Champaign in 1984, and a Master’s degree in chemical engineering from Carnegie-Mellon University in 1986. He started his career with Amoco Sharjah Oil Company as a plant engineer in 1986. He held various engineering, operations and integrity management roles in Amoco, BP and Crescent Petroleum. He joined Sharjah National Oil Corporation (SNOC) when it was established in 2010 as a technical control manager, then operations manager. He was named chief executive officer of SNOC and secretary general of Sharjah Petroleum Council by Amiri Decree in November 2015.